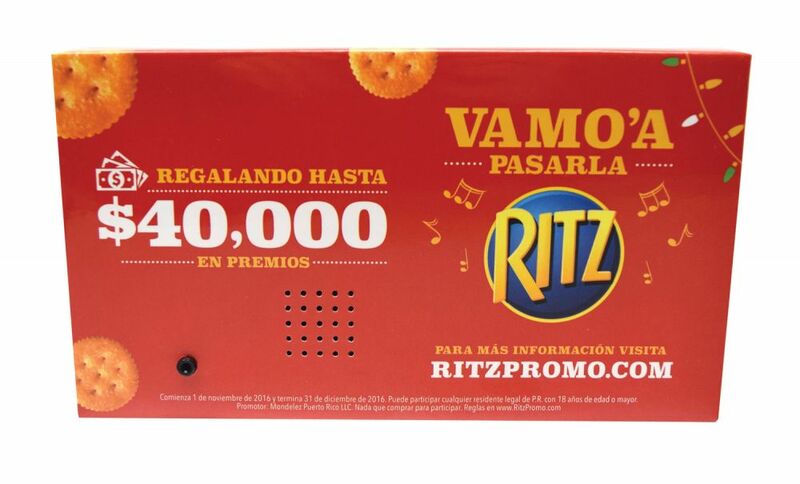 Nabisco reached out to its Spanish-speaking market with a sweepstakes designed around the classic Ritz cracker and wanted to catch the attention of as many potential consumers as possible. Draw them in with music! Americhip’s motion-triggered, Musical Shelf Talker delivered bold, crisp sound that couldn’t be ignored. 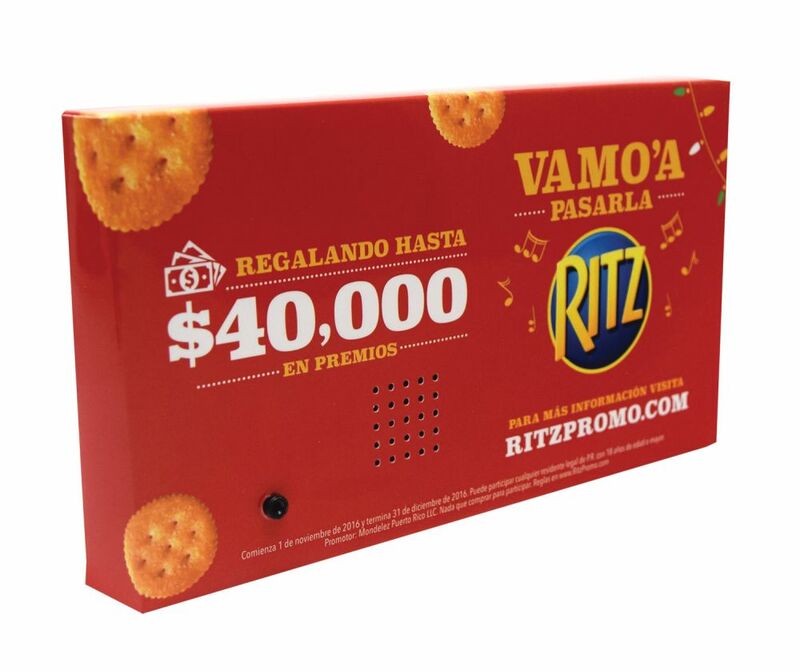 Each time a shopper walked by, the bright red color of the Ritz cracker box drew their attention and then the audio unit played a clip from an energetic Latin dance song featuring the contest’s tag line “Let’s pass the Ritz!” sung in Spanish. Nabisco’s sweepstakes was set to give away up to $40,000 in prizes, so the company wanted a lot of participation. This shelf talker delivered that and even got some customers dancing in the aisle.